The albatross around the neck of Julie Taymor just will not stop squawking. However, just because the production has been delayed four times from its original opening date doesn’t mean people don’t want to see it. Spider-Man: Turn Off The Dark is the most successful non-open musical I’ve ever seen. However, it has a release date, so Spider-Man will be making his Broadway debut eventually! After whiffing on opening days of December 21, 2010; January 7, 2011; and February 7, 2011; producers have finally settled on an official opening day. 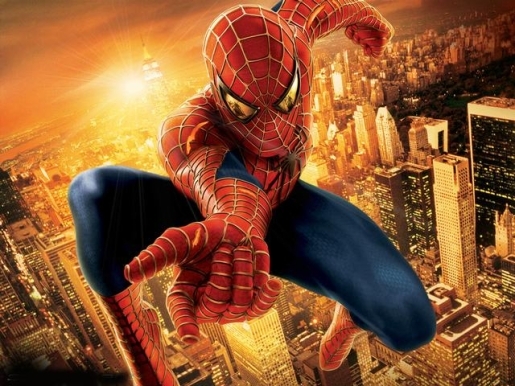 The $65-million-dollar Broadway musical Spider-Man: Turn Off The Dark is set to debut on March 14, 2011. You keep telling yourself that, Michael. Maybe, just maybe, it’ll happen this time. Meanwhile, as the show continues to be delayed, crew members continued to be added or taken away (usually taken away via ambulance after a horrible fall). Longtime U2 collaborator Steve Lillywhite has joined Bono and The Edge on the musical, though his role was not elaborated upon. I’d assume he’s the producer of the musical portion, since he’s a Grammy-winning producer and all.